Big Jobs. Smaller Handyman Jobs. We Do It All And We Do It Right! Everyone has that dream list of home remodeling projects they can’t wait to make a reality. Maybe it’s as simple as a fresh coat of paint in the living room to brighten things up, or something bigger like a custom kitchen, bonus room, or outdoor patio. No matter how big or small the project, it’s time to give your home the look and feel you’ve always wanted. McBride Construction Services is your source for complete residential and commercial remodeling services in Denton County. We have more than 13 years of industry experience handling both remodeling and roofing projects, and our customers mean so much to us that if all you need is to have a ceiling fan installed, we’ll do that, too. 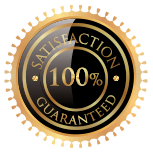 We are insured and offer a 100% Satisfaction Guarantee on all our work. There are no cutting corners in our world. 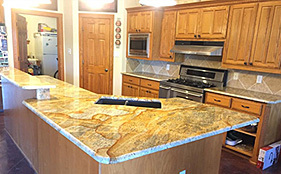 See our latest dramatic Kitchen Remodeling Project Transformation! Transform your kitchen with new cabinets, countertops, a custom backsplash, and other amenities. If you can envision it, we will do everything to make your dream a reality! Your bathroom is supposed to be your sanctuary, so make a change today. 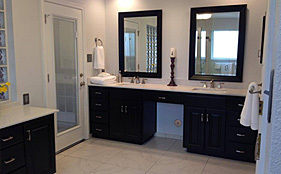 Our remodeling experts will meet with you and determine the best way to handle your individual needs. Replace your windows with storm windows and doors for greater energy savings, reduce noise from outside, provide safety and security, and compliment the look of your home! Need to expand your living space? How about a bonus room to host house guests? From redesigns to fence repairs, flooring, electrical work, and more, we’ve got you covered. Give us a call today. We want our customers to know they can call us first for ANY need – even the smallest handyman projects. 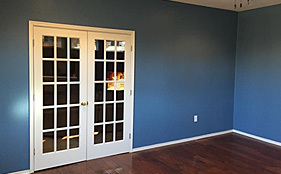 From doors to windows to drywall repair and paint projects, we do it all and we do it right. Because of this, we have long-time customers who rely on us for bigger projects down the road. If it’s something we don’t do, we’ll find someone we trust to help you. At the end of the day, we know our industry is a people business, and you can count on McBride Repair & Remodel to be there every step of the way. Our footprint is specific to Denton County, which means we aren’t spread too thin, allowing us to provide superior customer service. We pride ourselves on offering a service that is unmatched by our competitors. That means partnering with professional subcontractors in a variety of areas to ensure you always have a professional working on your home. This includes licensed electricians, plumbers, HVAC experts, and specialists for flooring, framing, and sheetrock projects. Really Good Contractor, Really Guaranteed! We are backed by The Good Contractors List. What this means is that you are not alone! If issues arise, The Good Contractors List will get involved to help resolve the situation. They are so confident in their contractors that they guarantee the contractor will deliver what was agreed upon, of pay up to $10,000 to make it right. All you need to do is register for FREE at www.thegoodcontractorlist.com before any work begins and you are covered by their guarantee. It is basically a FREE insurance policy covering our work and the work of any other contractor you may ever hire from their list. Now you can hired with CONFIDENCE when you use The Good Contractors List!